Hunters put their footwear through some rough conditions, whether it’s trudging through mud, tearing through brush or hiking for long distances. They need a boot that can hold up and be comfortable. This year LaCrosse Footwear has answered the call with a newly update to their AeroHead Sport hunting boot. Since the model came on the market two years ago, it’s been a user favorite. Available in Fall 2016, the Arrowhead Sport features patented AeroForm technology of polyurethane over a neoprene sock. This year’s model is more streamlined and more athletic fitting. It comes with 3.5 mil or 7 mil neoprene in both realtree camo and brown. The boot is completely waterproof and also features a releasable back strap. 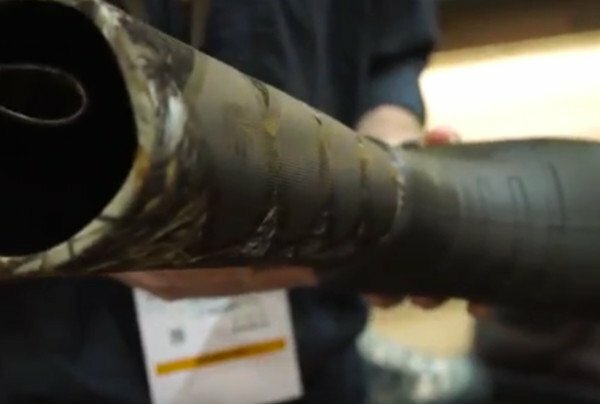 Watch our video from SHOT Show 2016.